This sterling Silver stacking ring is a heavier weight, formed using 12 gauge (2mm) ( 5/64") sterling silver wire. 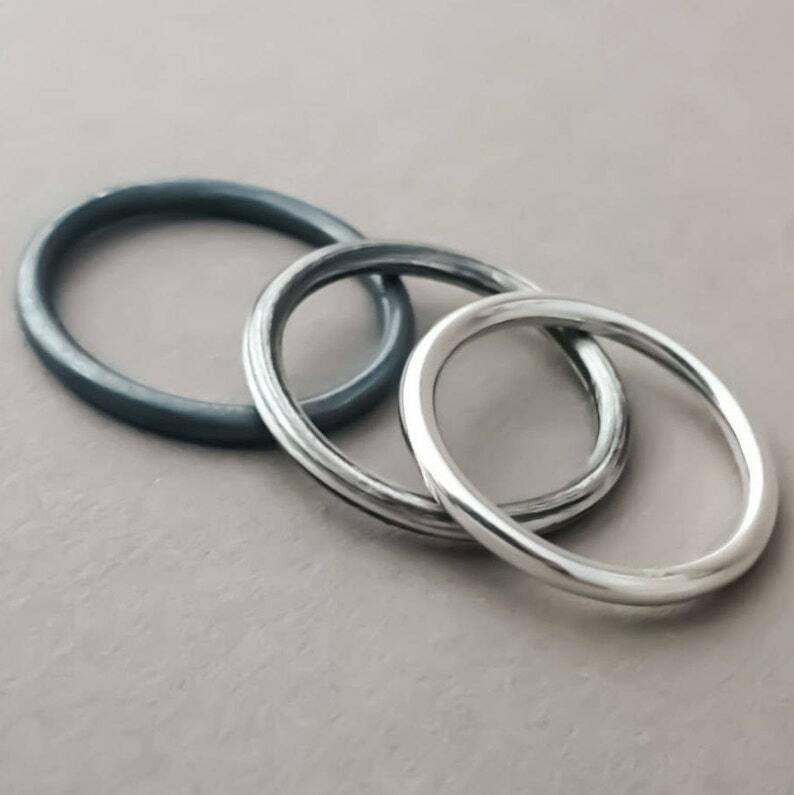 These simple stacker rings are great alone for a minimalist look, or stacked with other silver rings, and also looks great as a thumb ring. Listing is for one ring in the finish of your choice. Available in 3 different finishes, a brilliant high shine, a rustic oxidised or fully oxidised finish. 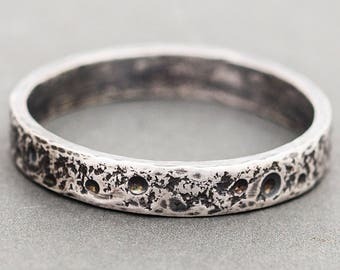 All rings are handcrafted using reclaimed sterling silver. These are made to order so PLEASE convo your desired size. 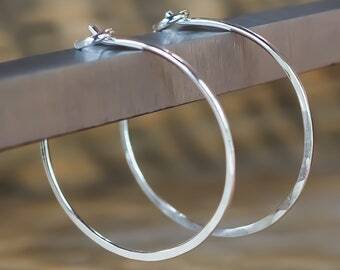 Large Hoop Earrings. 30mm Hoops. Sterling Silver. Polished Sleepers. Minimalist Jewellery. Large Hoop Earrings. 30mm Hoops. Sterling Silver. Oxidised Sleepers. Minimalist Jewellery. Sterling Silver Drop Earrings. Dangle Earrings. Recycled. Interlinking Circles. Circle Earrings. Everyday Jewelry. Minimalist. Geometric. Beautiful earrings. I have had dfo many compliments. Bought some for a gift also.